“Cot, cot, cot,” said Darlusz Rabagaiski, the Polish frog that occupies my house. He was sitting beneath the lilac bush. “You need a cot,?” I asked. I thought you sleep anywhere. Oh, deadheading. The annual June chore. 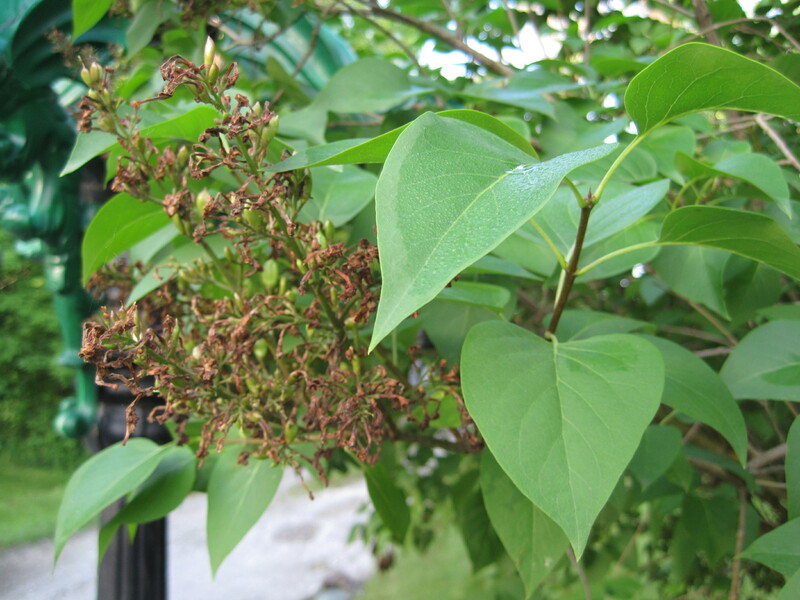 After the lilacs die back, the blooms should be cut off the lilac bush while they are brown but before they form green seed pods. I’m a little late this year, and some seed pods are forming, which explains Darlusz’s urgency. “I’ll get on it now,” I said this morning, making time before work to get the lilac job done. Darlusz sat beneath the lilac as I cut, dead lilac blossoms cascading down around him. He did not seem to mind. 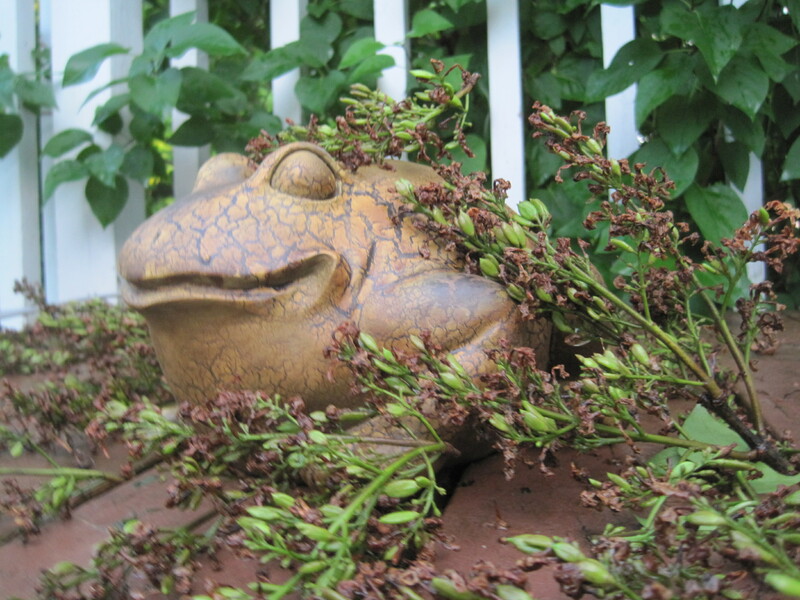 Expired lilac blooms that I was deadheading cascaded down on Darlusz the frog. “Goud, goud, cotting like dat. You see, next May you get so many lilac. Will be beautiful,” Darlusz said. He’s right. Any lilac bush will bloom nicely every spring. But if you deadhead the lilacs in June, you get an overabundance of lilacs the next May. You can never have too many lilacs, right? This entry was posted on June 9, 2010 at 9:56 am and is filed under Uncategorized. You can follow any responses to this entry through the RSS 2.0 feed. You can leave a response, or trackback from your own site. i hope darlusz continues to give such good advice and you continue to pass them on in your blog. our lilacs are in full bloom now which means they are really late.